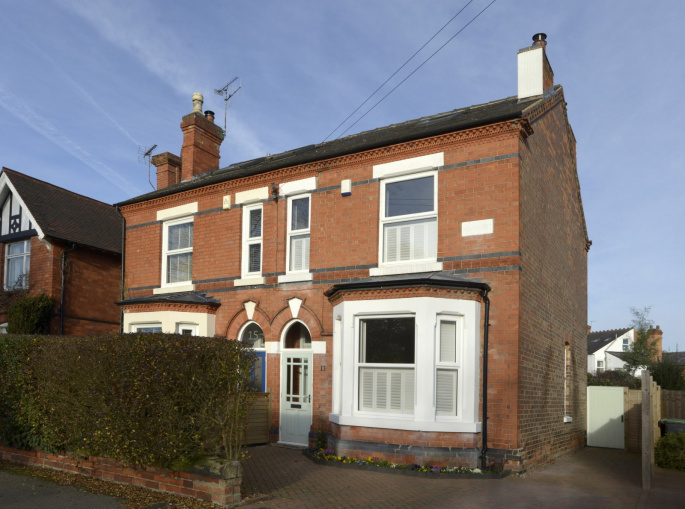 "Holmhurst" is a beautifully presented, extended late Victorian semi-detached house in a desirable position, in the St John's Grove Conservation Area and within walking distance of the centre of Beeston. Having been re-furbished and upgraded over recent years, the property retains many of the original features of the period whilst combining modern comforts. Arranged over three storeys, there are two reception rooms on the ground floor, with an extended dining kitchen that opens onto the back garden. 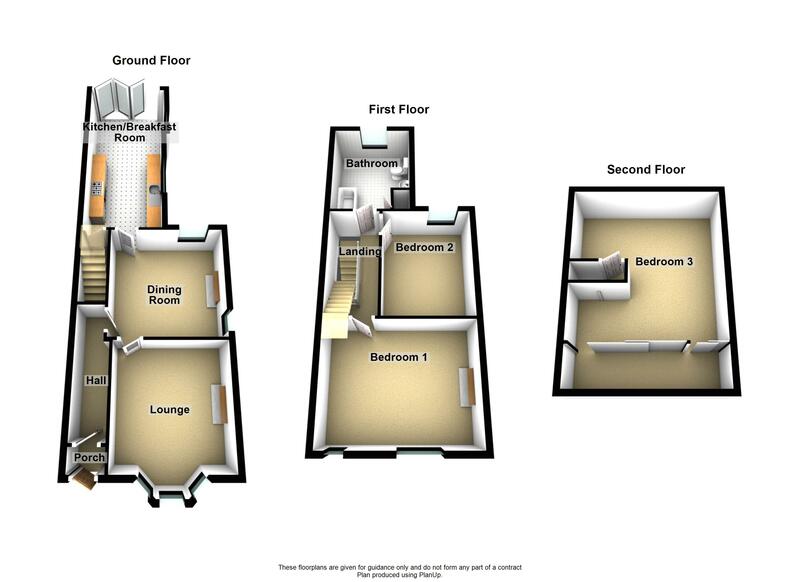 On the upper floors are three double bedrooms and a bathroom with stylish fittings. The owners of the house have installed fitted internal shutters to the double glazed windows and there is gas central heating throughout. Other improvements include a mains wired, integrated fire and smoke detection alarm system and an intruder alarm. 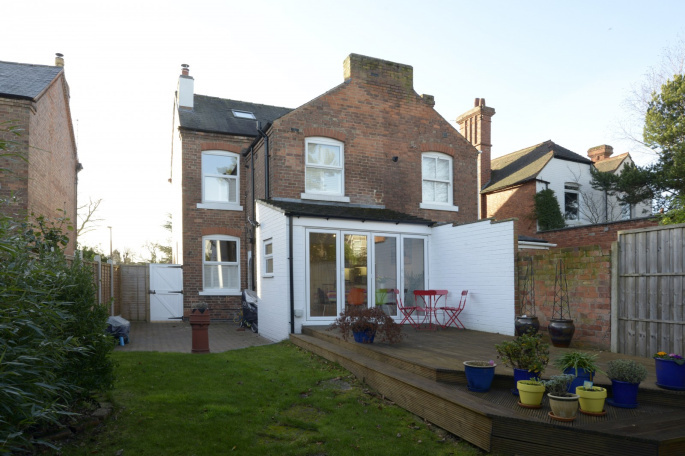 At the front of the property is a block paved drive that provides off street parking and at the rear an enclosed and private garden has a lovely deck area. 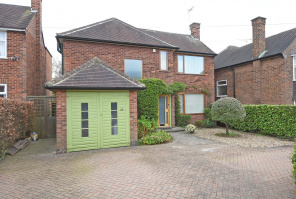 Bramcote Road is ideally placed for the NET Tram which is a short walk away, as are the shops, bars and restaurants that are found in Beeston centre. Viewing is highly recommended. EPC Rating is D - 63. Please note that completion of a sale before July 2019 cannot be offered by the owners . The property is entered through a glazed wooden front door with a double glazed fan light above into a small enclosed porch with quarry floor tiles and a Terrazzo step. 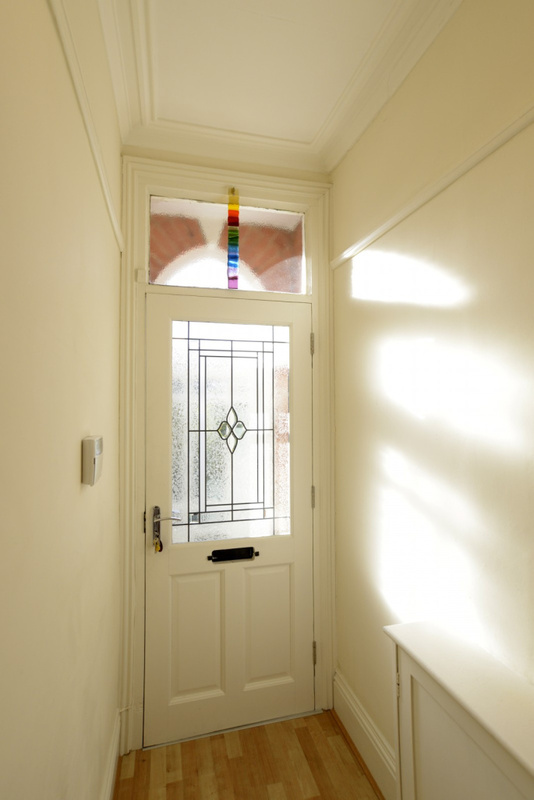 The main front door has leaded and opaque detail on the glazed panel and leads into the entrance hall. The entrance hall has deep skirting boards, cornice to the ceiling, a picture rail and an arch with original decorative mouldings. 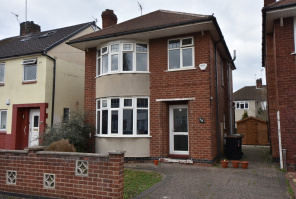 There is light wood style laminate flooring, a radiator, a staircase rising to the first floor, the alarm system control panel and a fitted cupboard containing the electric meter and distribution board. This is a well-proportioned room with original features that include coving to the ceiling and a decorative plaster ceiling light rose. 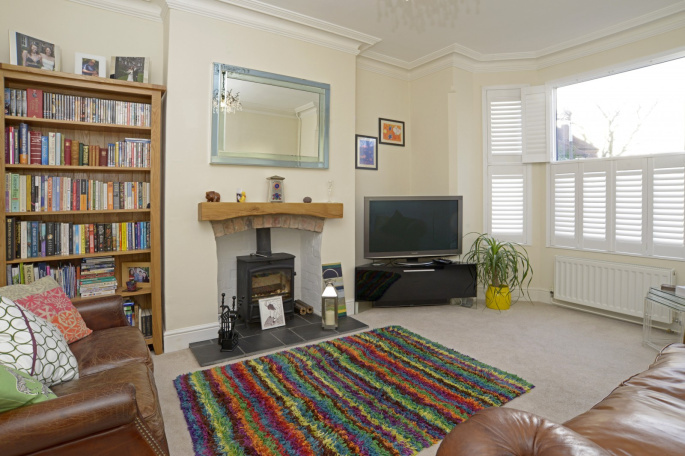 The room has a central chimney breast with a brick arch, wooden mantle and a tiled hearth. Fitted in the chimney breast is a multi-fuel burning stove. 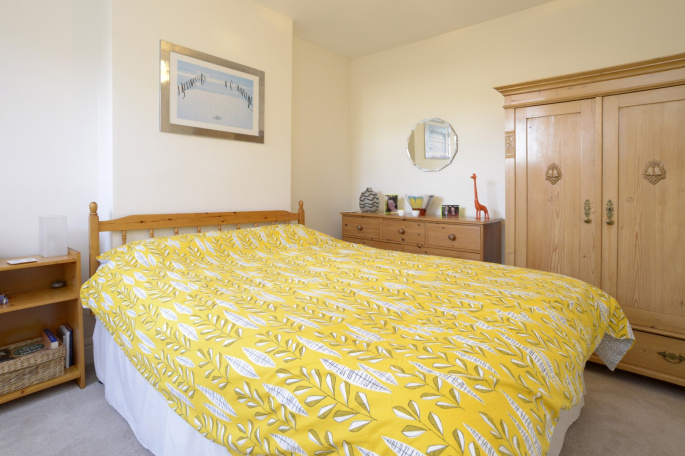 The room has a radiator and fitted carpet as well as double glazed windows with fitted shutters. There are power points, television and telephone connection sockets. 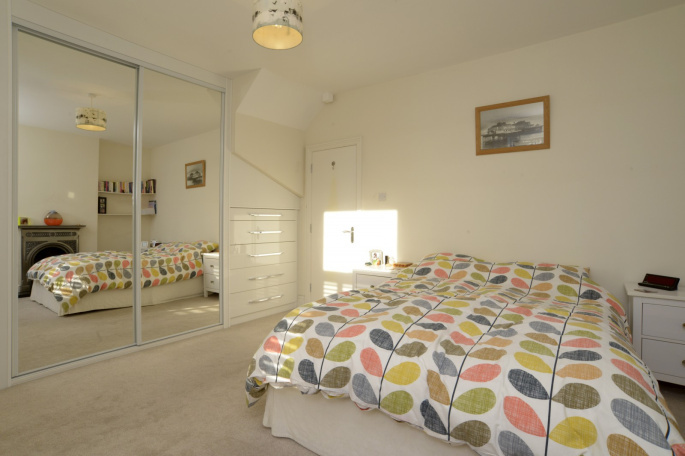 This is a double aspect room with double glazed windows to the rear and side aspects. Both windows have fitted shutters. 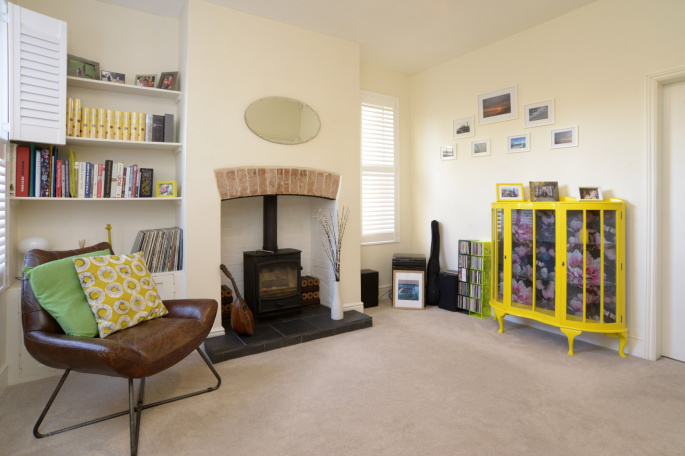 As with the sitting room, this room also has a central open chimney breast with a brick arch, a slate tiled hearth and a multi-fuel burning stove. To one side of the chimney breast is a fitted cupboard and book shelves. The room has a fitted carpet and radiator. A bright and vibrant room with bi-folding doors opening onto the rear deck area and double glazed windows to the side aspect. 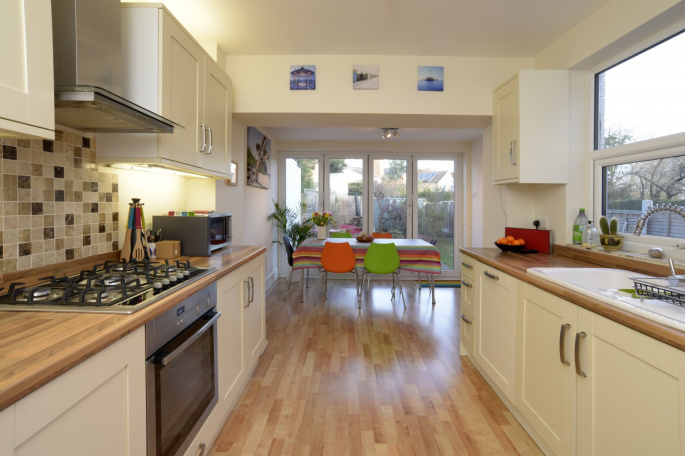 The kitchen has a comprehensive range of fitted units at base level with drawers and matching cupboards above. There are wooden effect acrylic working surfaces and a 1 1/2 bowl sink with a mixer tap. Additional appliances include a five ring NEFF gas hob with a glass and stainless steel extractor canopy above and a matching NEFF oven and grill below, an integrated Smeg dishwasher, a Hotpoint automatic washer/dryer and a LEC upright fridge freezer. 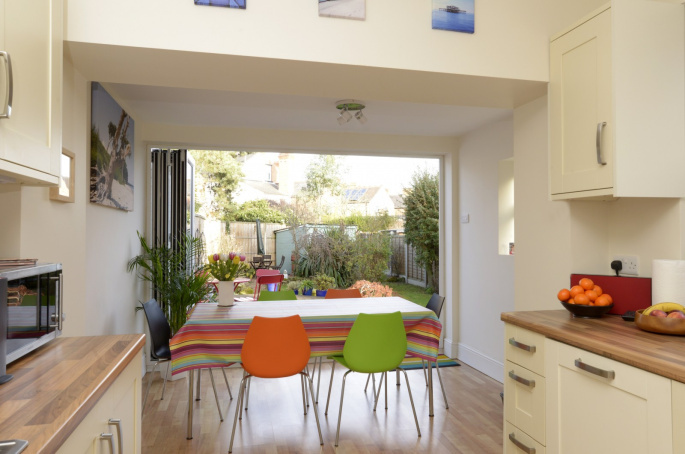 The room has light wood effect laminate flooring throughout and a vertical radiator in the dining area. Beneath the stairs is a very useful larder cupboard, with engineered Oak flooring, electric power, plumbing and an extractor fan. A galleried landing with a further staircase rises to the second floor bedroom. The landing has a fitted carpet and radiator and a mains wired smoke alarm. There is storage space beneath the upper staircase. This is a spacious and comfortable master bedroom with twin sash style double glazed windows to the front aspect both having fitted wooden shutters. 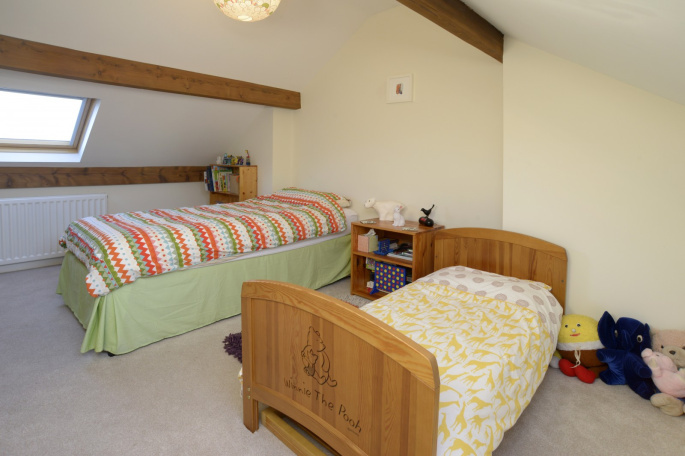 The room has a range of floor to ceiling mirror fronted wardrobes with ample hanging and shelving space and an additional fitted contemporary style chest of drawers. The central feature of the room is a decorative cast iron fireplace with a marble hearth and cast iron basket. The room has a fitted carpet, a radiator and a television connection point. Another nicely proportioned double bedroom with a double glazed window with fitted shutters looking over the rear garden. This room has a fitted carpet, a television connection point and a radiator. 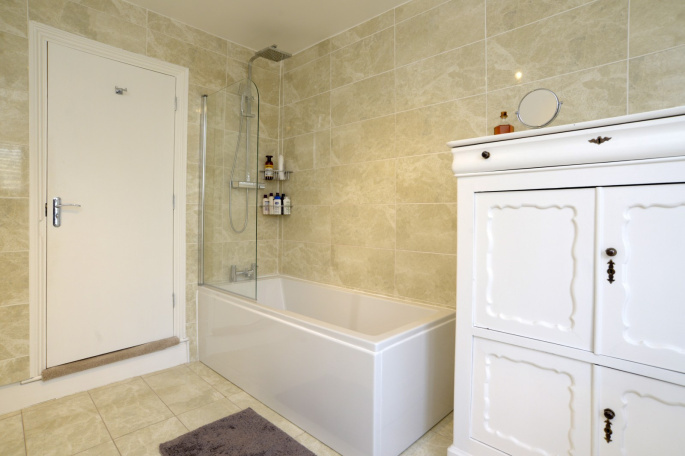 A beautifully appointed bathroom with a contemporary white suite that includes a deep double ended panel enclosed bath with mixer taps and a separate overhead shower with twin heads, one of which is a rain head. The bath also has a glass shower screen and fully tiled surrounding walls. The remaining suite comprises an oval pedestal wash hand basin with contemporary style mixer tap and pop up waste and a low level flush WC. There is a chrome vertical heated towel rail, ceramic floor tiles and a Manrose extractor fan. 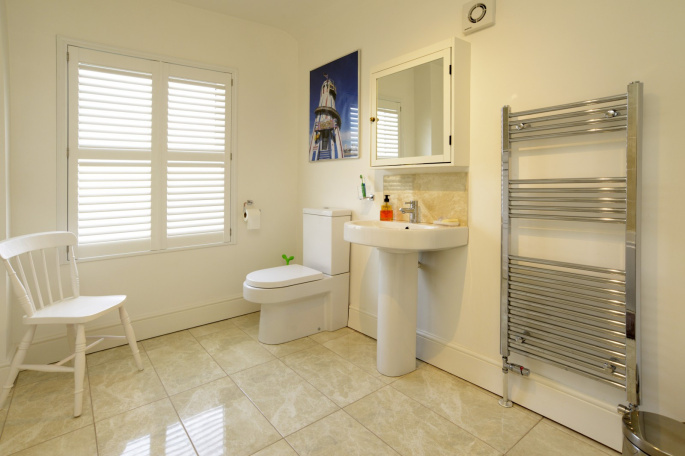 The bathroom also has a double glazed window with opaque panes and fitted shutters, an airing cupboard containing a Worcester combination boiler that provides central heating and instant hot water. The property has a lovely rear garden that is enclosed to three boundaries by timber fence panels with concrete posts and gravel boards. There is a main area of lawn with well stocked borders and brick edging. Directly to the rear of the house is a raised wooden decked seating area with steps down to the lawn. There are numerous specimen plants and trees including established fruiting Apple and Pear trees and at the rear of the garden is a second gravelled seating area with raised flower beds surrounding. There is a timber garden shed, external power and lighting as well as a garden tap. A large herringbone patterned block paved side return provides additional garden space that could be used as a sheltered patio area and has a wooden gate leading to the front garden. The front garden has herringbone patterned block paved driveway providing off road parking and well filled flower beds with raised edges and a privet and holly hedge to the front giving some additional screening. A wide passageway to the side of the house also has herringbone patterned block paving and leads to the rear garden. "We recently purchased our first house through C P Walker & Son. 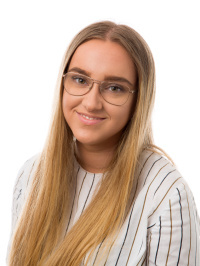 Mark Finnagan handled our purchase, and from the moment we first spoke to him to request a viewing, to handing over the keys, the service we received was fantastic. No query or question was too small, and we were in constant contact throughout the 12 weeks. The service we received from C P Walker & Son helped to make the whole process stress free, painless and exciting. 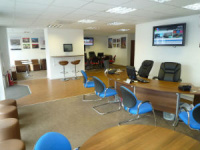 We are very thankful, especially to Mark and would definitely recommend."